Claire joined Asda as Marketing Director in January 2015. Prior to this Claire was at Premier Foods and was Category Business Director for the Sweet portfolio including full profit responsibility. Claire was brought in as part of a senior leadership team to help turn around Premier, a business which has been severely financially distressed but yet has many iconic British food brands that have significant opportunity for growth. 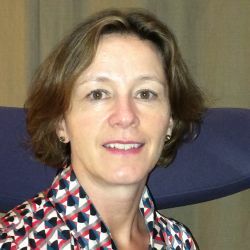 Before Premier Claire was Brand Communications Director at Sainsbury’s where she oversaw the development and launch of the new positioning ‘Live Well for Less’, lead initiatives such as ‘Feed your Family for £50’ and the redesign of the complete own label range under ‘by Sainsbury’s’. Before Sainsbury’s Claire was Brand Communications Director at Boots UK for 3 years helping develop campaigns such as ‘Here come the Girls’ Christmas TV. Claire started her career as a graduate trainee with Unilever and spent 15 years in a variety of roles from marketing pregnancy tests, managing international launches of skincare brands to developing a barbershop concept for Lynx. Claire was then Marketing Director for KFC in UK& Ireland for 4 years with responsibility for advertising, new product development and store design. Achievements included repositioning the brand under ‘Soul Food’, rolling out new store design and driving record transactional growth. From KFC Claire then became Brand Communications Director at Boots. Claire is married with 2 teenage children and the family are further supplemented by 2 labradors who continue to amuse everyone on a daily basis. Outside work Claire occasionally runs half- marathons.